Dr. Susan Kahn reviews the plans for the renovated space that will house the Centre of Excellence in Thrombosis and Anticoagulation Care. Having become a leader in its field since its launch in 2012, the JGH’s Centre of Excellence in Thrombosis and Anticoagulation Care is preparing to occupy a newly renovated area, featuring a more comfortable space for patients and improved facilities for research and teaching. The Centre’s focal point will be the fully refurbished third floor of Pavilion C, which was vacated when the Intensive Care Unit moved to Pavilion K in 2016. Renovations are now under way, with an official launch tentatively scheduled for January. 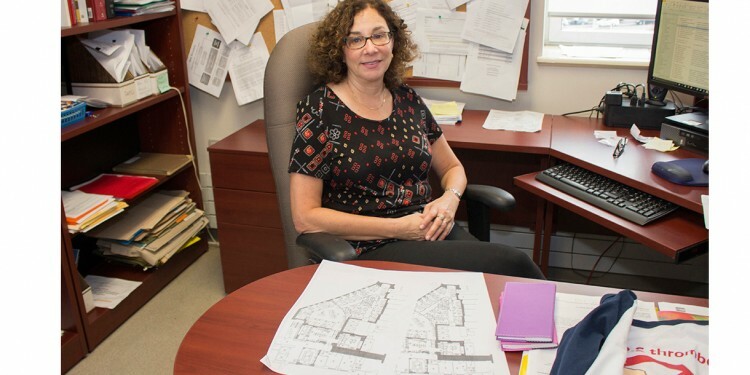 For the past five years, the Centre’s offices and other facilities have been scattered in various hospital locations, including the Department of Epidemiology in Pavilion H and the Anticoagulation and Thrombosis Clinics in Pavilion E, says Dr. Susan Kahn, Director of both the Centre of Excellence and the JGH Thrombosis Program. The new arrangement creates a unified area for treating and managing blood-clotting disorders, and for providing anticoagulation care, says Dr. Kahn, who is also Professor of Medicine at McGill University and holds a Tier 1 Canada Research Chair in Venous Thromboembolism at McGill. Adding urgency to the Centre’s development is the fact that pulmonary embolisms—blood clots that migrate into the lungs—are responsible for more deaths each year than breast cancer, HIV and motor vehicle accidents combined. Along with deep-vein thrombosis (clots that form in the veins of the legs), they’re the most common cardiovascular condition, after heart attacks and strokes. According to Dr. Kahn, greater attention also needs to be paid to the rapidly increasing number of anticoagulants (blood thinners), so that patients and physicians alike are aware of the drugs’ benefits, but also their potentially dangerous side-effects in certain circumstances. She estimates that on any given day, roughly 60 to 65 per cent of JGH in-patients receive some form of blood-thinning medication, and that patients make about 16,000 visits per year to the Anticoagulation Clinic. 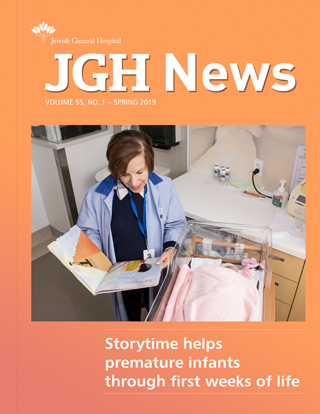 As has been the case since 2012, support for the latest phase in the Centre’s evolution has been provided by the JGH Foundation, as well as a partnership with Sanofi Canada Inc. Tags:anticoagulants,anticoagulation care,Anticoagulation Clinic,blood thinners,blood-clotting disorders,Canada Research Chair in Venous Thromboembolism,Centre of Excellence in Thrombosis and Anticoagulation Care,deep-vein thrombosis,Dr. Susan Kahn,JGH Thrombosis Program,McGill University Thrombosis Fellowship,pulmonary embolism,rénovations,Sanofi Canada Inc.